The moon looks gorgeous rising full tonight. I took a quick trip to the grocery store and was delighted to catch a view of the full moon in all her glory tonight as she was rising among wispy clouds on the horizon. Tonight the moon is full in Libra at 6:43 PM just a few hours after the Sun’s ingress into Aries at 2:58 PM PDT. This full moon is opposite Chiron in Aries within two degrees so our expression in relationships is poised for healing by dealing with some conflict. Chiron in Aries is learning to heal issues with managing one’s self in conflict, which is important for not only current relationships but also understanding relationships we’ve had in our history and how the theme of managing conflict perhaps left us short and unable to be freely expressed. This moon in Libra will be keen on sensing the environment we are in and how we are in harmony or not with others in our close circle. This moon is at zero degrees Libra and 9 minutes, which is also known as an Aries Point (zero degrees cardinal) and gives us a bit more cardinal charged energy which is stops and starts, things change quickly in cardinal energy! So be prepared for sudden shifts. Venus is in fixed air Aquarius, offering by sign a nice trine to the full moon (by sign, not degree) Venus and Mars are square exact within a few minutes of arc (applying) so there is definitely potential for some connection and perhaps some fighting, depends on how individuals choose to use the Mars in Taurus energy, good be a healthy lengthy sensual alignment or a feisty one, who wouldn’t prefer the sensual one. Choose wisely, life is made richer by seizing the moments! Besides, it’s the first day of spring! Why not make tonight even better! Mercury is still retrograde and things are not going to ease up until sHe leaves Pisces honestly. Mercury stations direct at 16 degrees Pisces 5 minutes on March 28th around 6:59 AM PDT still conjunct Neptune at 16 degrees 57 minutes, so the morning commute should be interesting next Thursday! Then back over Neptune and through Pisces again until it finally enters Aries on April 16th around 11:01 AM PDT. Once in Aries Mercury is more manageable, though applying to Chiron in Aries will have something new to consider and navigate sensitive spots. Jupiter squares the conjunction of Neptune and Mercury in Pisces which is high tension and troubled water for our legal system, higher education and someone going off on a religious holier-than-thou tirade, maneuver yourself to safe ground. We may have more insight into the university bribery scandal and maybe other types of similar scandals, it’s just part of this mix with Jupiter in Sagittarius at 23 degrees 41 minutes. Mars at 23 degrees 14 minutes is inconjunct Jupiter so that adds to the tension. Uranus in Taurus stirring up the earth, especially from too much wind and too much water with disastrous effects. Food resources are going to be an issue for some places and we’ll have to consider how to get it to those who are in unexpected situations that have come since the new moon in Pisces. Saturn, Pluto and the South Node in Capricorn remind us all of the powers that are making moves to solidify or make their power stronger. These planets in cardinal earth (square by sign to this new moon in Libra) are in a trine to Mars in Taurus. 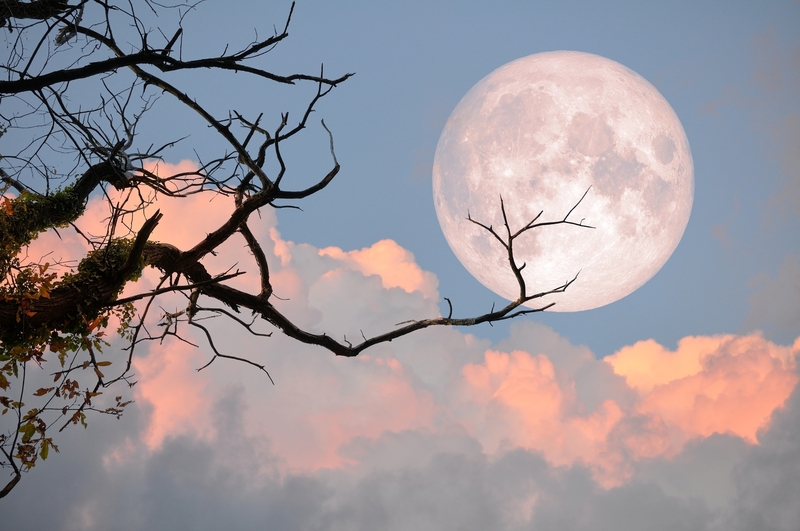 There is a notable endurance locked in this full moon. How might you be grounding now and needing the alignment of this energy to do something that requires long hard hours of focused attention and thought. Mars in Taurus has that to offer, but it can also feel like stalled energy to those who are attuned to things of life moving at a faster clip. This is just a brief sharing on this gorgeous full moon tonight, but you can read my Aries ingress post for insights for our country for the next 6 months (it’s the post below this one on my website) also noted on my Facebook page.